If you have been injured or suffered other damages because of a product you used, you may have a defective product liability claim. 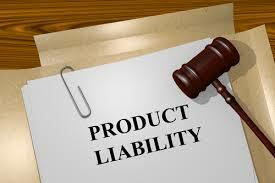 In evaluating whether you have a valid defective product liability claim and preparing your case, it is helpful to be familiar with what the law requires you to prove in order to win your case. You were injured or suffered losses. The defect caused your injury. You were using the product as it was intended. You Were Injured or Suffered LossesAll sorts of horrible things may have almost happened to you, but without an actual injury or monetary loss, you are missing a critical element of a products liability claim. For example, say your fancy new electric tea kettle explodes the first time you use it because of a hairline crack in its base. You jump out of the way just in time, avoiding the burning hot steam and water, but you accidentally knock a hand-carved crystal vase -- which happens to be your most valuable wedding gift -- onto the floor. By a miracle, the vase survives the fall without a scratch. Although the defective and dangerous tea kettle almost caused third-degree burns and the destruction of your most prized wedding gift, without actual injury or damage, you have no claim. The Product Is DefectiveYou must also prove that the product that injured you is defective. How easy this is to prove depends on the type of claim you are making. If you are claiming that the product was flawed because of an error in making it -- for example, the tea kettle developed a hairline crack during its manufacture -- proving that it's defective may be fairly easy. Design Defect: Is the Product Unreasonably Dangerous? If you are claiming that the product was manufactured correctly, but the design of the product is flawed, your proof may be harder to come by. Most likely, you will have to demonstrate that the danger created by its design was unreasonable. A modeling clay set that explodes because it is made of explosive material would be a slam dunk. But just because a product is dangerous in some way doesn't always mean the manufacturer or supplier is liable for injuries. For example, if you drop your fancy new meat cleaver and chop off several toes, you probably will not have much success arguing that the design of the meat cleaver -- specifically, its sharp blade -- is unreasonably dangerous. These are obvious examples, but determining whether a design is unreasonably dangerous can be far more subtle or complicated. Sometimes there is no reasonable or cost-effective way to design a much-needed product without it being somewhat dangerous. Air bags in automobiles can cause serious injury, but their relatively low cost and effectiveness at saving lives in certain types of collisions provide car manufacturers with the grounds to argue that they are not unreasonably dangerous, particularly in view of the alternatives. Failure to Warn: Were You Not Warned of a Hazard? You will likely be more successful at showing that the injury-causing product's design is defective if you can demonstrate that the dangerous quality of the product is not obvious to the ordinary consumer. In such cases, liability may hinge on whether the warnings and instructions provided by the manufacturer or supplier were reasonably sufficient. For example, if you suffer severe burns because the steam valve on your newfangled electric tea kettle is concealed in an ornamental pig's head on the side of the kettle instead of in the spout where the ordinary consumer would expect it to be, you might have a strong defective design claim. If the kettle came with bright red "caution" stickers and a user manual with bold warnings about the position of the steam valve, your case might come down to the question of whether such warnings were legally adequate. It is not enough to argue that you were injured while using the defective product. You must demonstrate specifically that your injury was caused by the defect itself. In some cases, such as the example of the newfangled electric tea kettle discussed above, linking the defect in the product to your injury is fairly straightforward. In other cases, it may not be so easy. For example, if you were injured in a car accident while driving a car that is prone to flipping over when turning corners, and there is evidence that you were speeding at the time of the accident, the car manufacturer will undoubtedly argue that your reckless driving, not the car's design, was the cause of your accident. Broadly speaking, you must have been using the product in a way that the manufacturer intended consumers to use it. For example, if you use your new electric tea kettle to heat the water in your kids' outdoor wading pool and it explodes, causing hot water burns, you may not have a claim. If an ordinary consumer would not use the product to heat a wading pool, then the manufacturer is not required to make the kettle's design safe for that purpose. This does not mean, however, that the way you were using the product when you were injured must conform exactly to the manufacturer's specifications. If a manufacturer could reasonably expect an ordinary consumer to use the product in the way you used it, you have likely met this requirement. For example, if you purchased Robin's Remarkable Rose clippers, touted by the manufacturer as "the ultimate tool for cutting roses," and while using them to clip some chives in your garden the blade snaps off and flies into your eyeball, blinding you in one eye, you likely have a valid claim even though you were not clipping roses when you were injured. Making sure that your defective product claim includes all of the basic elements required in your state may be tricky. Depending on your case, you may wish to consult with a lawyer who specializes in products liability.